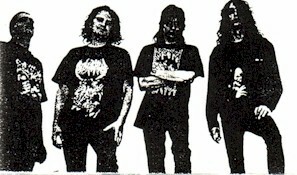 Technical Thrash Metal / Death Metal Enslaved started as Necrophenistic Nightmare in Cottbus, Germany and change the name to Enslaved in June-1990 releasing a couple of demos and CDs during their career. They split-up in 1998. Xeroxed covers. Need more info.